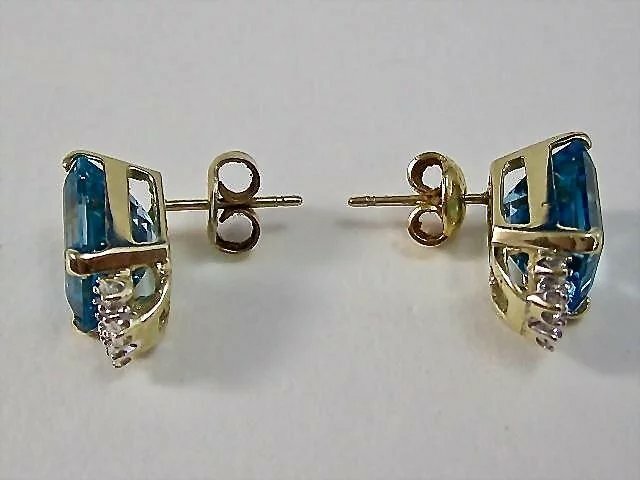 These are very elegant estate blue topaz and diamond stud earrings, set in luxurious 14K yellow gold. 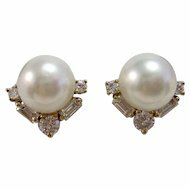 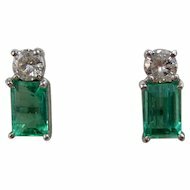 The earrings feature a classic, elegant design perfect for any occasion! 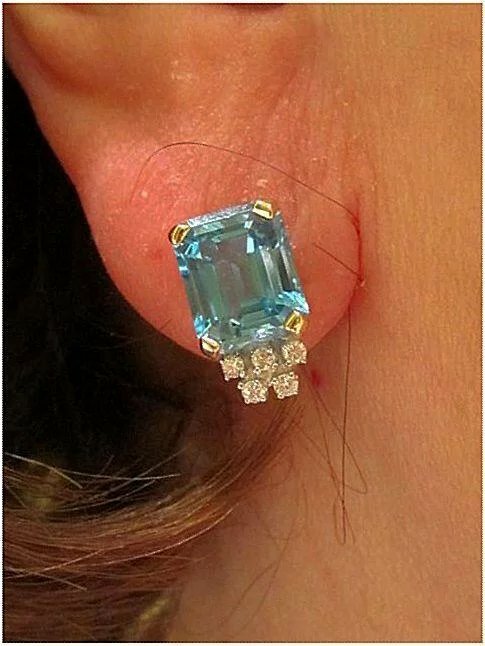 They are absolutely huge, a total of 9 carats approximate weight total! 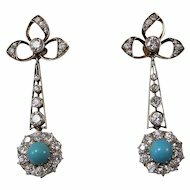 What a wonderful addition of something blue for your wedding day, if you are a bride! 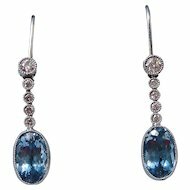 Or if you love all things blue, like me, you can enjoy wearing theses gorgeous earrings each and every day. 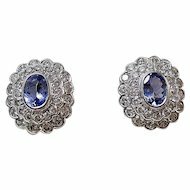 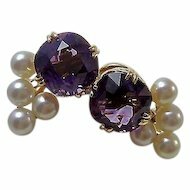 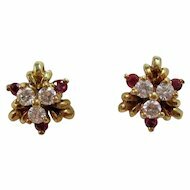 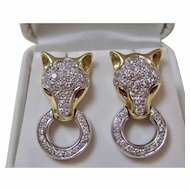 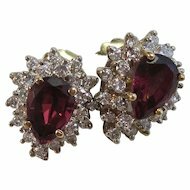 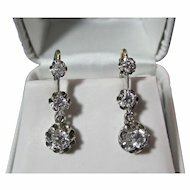 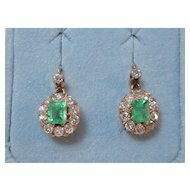 Exquisite earrings......wonderful addition to your jewelry wardrobe! 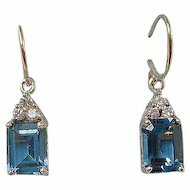 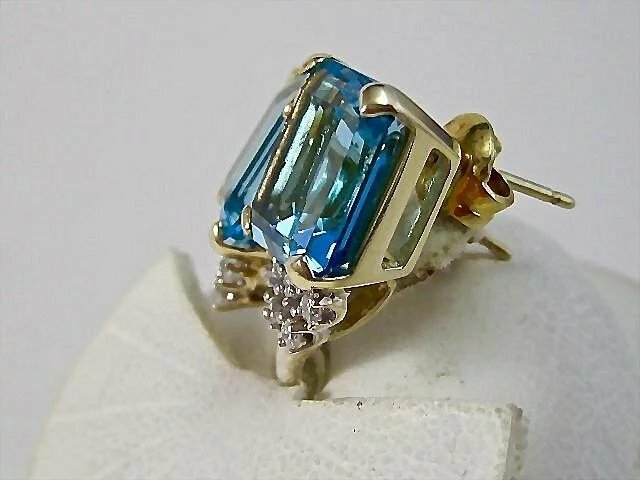 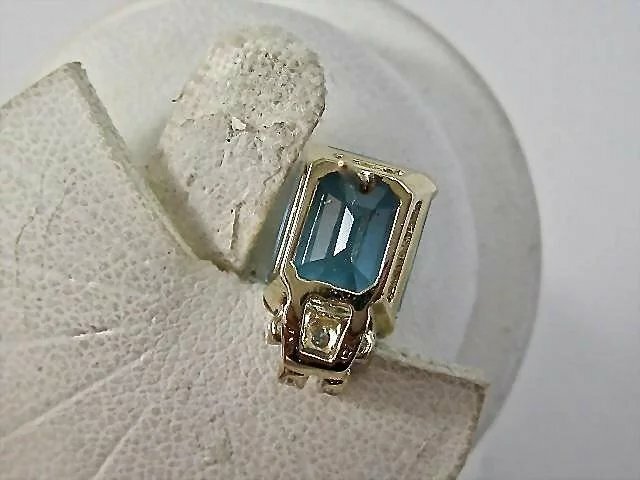 There are two emerald cut prong set London blue topaz earrings which measure 10mm x 8mm, weighing approximately 4.50 carats each or 9 carats total weight, with a gorgeous emerald cut. 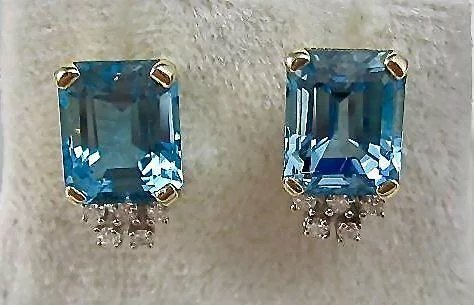 The topaz are in excellent condition, free from chips or cracks. 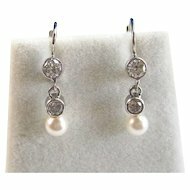 Beneath each earring are ten prong set round brilliant cut diamonds. 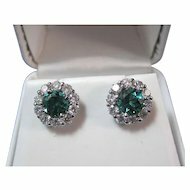 The diamonds have gorgeous H-I color, with sparkling bright SI1-SI2 clarity, with a good cut. 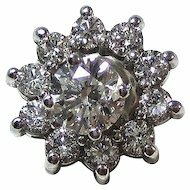 The diamonds weigh approximately 10/100 of a carat. 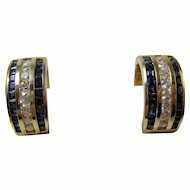 The earrings are set in a tested 14K yellow gold setting, meaning they have 58.3% fineness of pure gold. 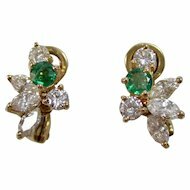 The earrings feature post and butterfly backings. 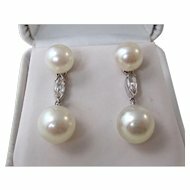 The earrings weigh 4.1 grams.